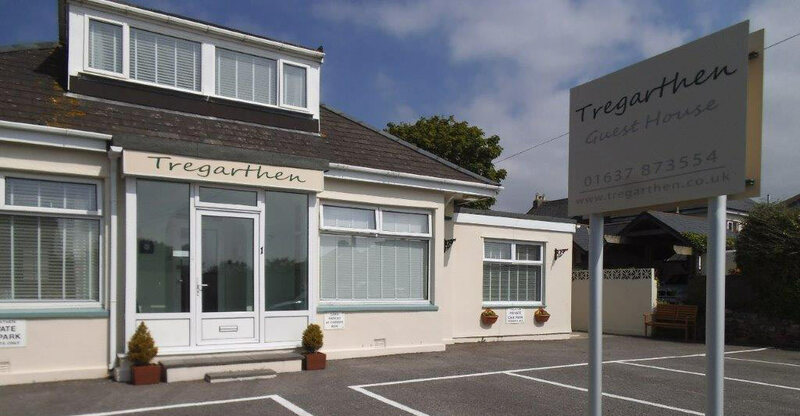 Tregarthen Guest House Newquay is a bed and breakfast establishment, offering all the facilities of a small hotel. Our guest comforts include en-suite, 32″flat screen TV with DVD, USB sockets and free WiFi. We are situated in the prime location for Tolcarne, Lusty Glaze and Porth beaches, a short stroll will take you into the busy town centre of Newquay. Newquay Airport is also just over 6 miles away. We can also provide you with a free parking space in our own off road car park.